One-Punch Man volume would have been a fantastic read with lots of comedy and action during. 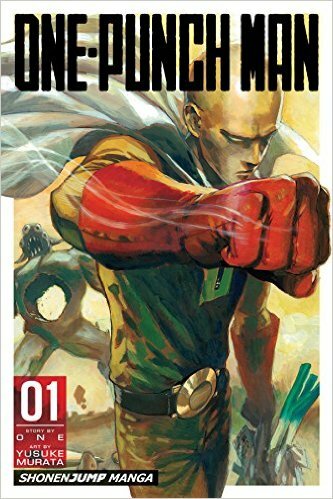 Though Saitama would be the One Punch Man getting my way through as little as one punch or maybe consecutive ones, he is still equipped with a great partner by his side Genos nobody offers us the original nearly perfect hero type character that you will find the lead in a variety of stories. Though ONE hasnt made him this way and often makes him the main one most can relate too, Genos is fun to get around and great. He is personally the most popular and I am glad he remains a a component of this series. Saitama is an excellent lead too and one that provides many memorable panels along with his facial expressions when the unexpected happens. This entry was posted in Comics & Graphic Novels and tagged One-Punch Man, Vol. 1. 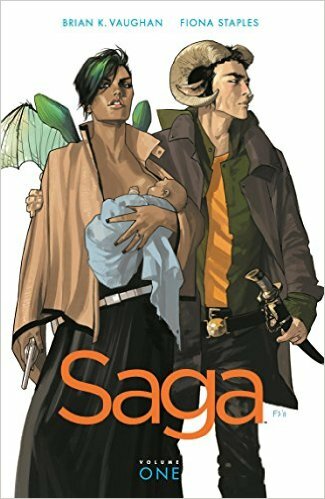 For many years, Brian K. Vaughan has become dazzling us and making our heads spin along with his wordsmithing and storytelling on thousands of comics with the last decade possibly even. Books like Y: THE LAST MAN, EX MACHINA and the initial operated with RUNAWAYS would be the stuff that comic strip readers’ dreams are created from. Alas, since devastating finale of EX MACHINA, he took some well-deserved time away, however, if he announced a brand new creator-owned series for Image Comics that’s apparently likely to be “STAR WARS meets ROMEO AND JULIET meets GAME OF THRONES”, people’s heads begun to explode with anticipation. But will it live up towards the inevitable hype surrounding a work by Vaughan and artist Fiona Staples? This entry was posted in Comics & Graphic Novels and tagged Saga, Vol. 1.